Cartels make $500 million a year from illegals crossing into U.S. Smuggling cartels are making at least $500 million a year bringing migrants into the U.S., Homeland Security Secretary Kirstjen Nielsen told Congress recently. As President Trump moves forward on building the border wall illegal border crossings continue to surge. Ms. Nielsen cited some reasons for the surge: El Salvador, Honduras and Guatemala economies are failing and its homicide rates are falling, meaning that the more violent criminals have left those countries (and entered the U.S.) Other reasons are the booming U.S. economy and lax American immigration laws are enforcement over the past several years. “We do face a crisis,” she said at a Senate Homeland Security and Governmental Affairs Committee hearing. Illegal immigration is a $500 million business– illegal aliens pay drug cartels to smuggle them over the border. 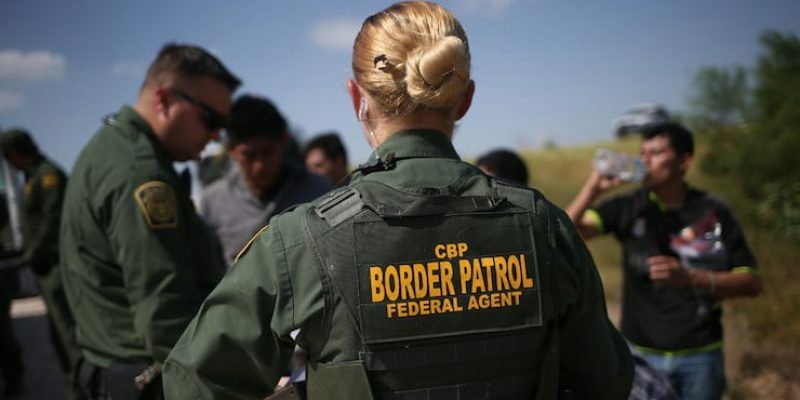 Homeland Security stated last year said Central American illegal aliens pay an average of $8,000 to be smuggled into the U.S. Mexicans generally pay lower rates; Asians pay $25,000 or more. The money is split among the “coyotes,” or guides, who bring them through Central America and Mexico to the U.S. border. Stash house operators and smugglers who transport them also get a cut. As do the major cartels whose bosses oversee every aspect of the smuggling operation. “To be clear — human smuggling operations are lining the pockets of transnational criminals. They are not humanitarian endeavors. Human smuggling is less income than drug trafficking, which totals in the billions every year. Both are dangerous endeavors.